How to Transfer Media Files from Computer to iPod Devices? 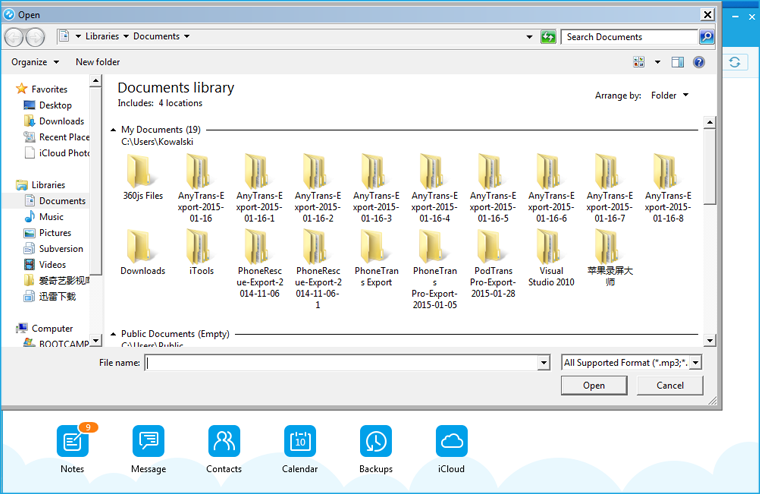 PodTrans Pro is able to import various kinds of media files from computer to device without opening iTunes. In addition, your previous contents won't be covered with PodTrans Pro. 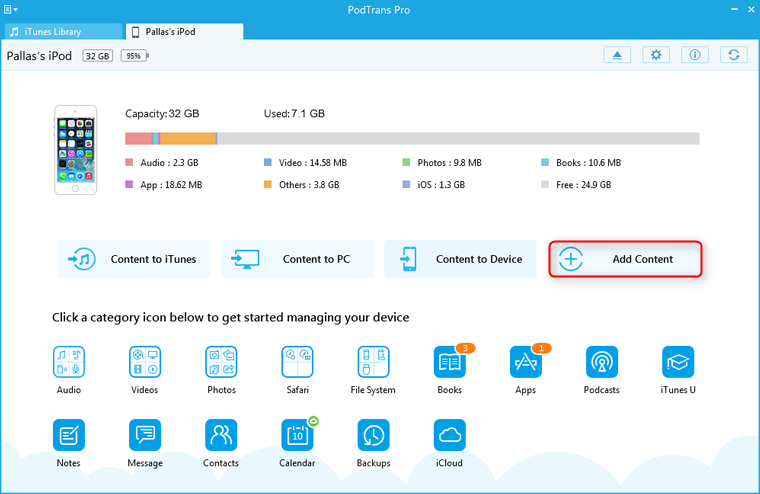 Step 1: Connect your device to the computer while launching PodTrans Pro. Next, tap the "Add Content" button. Step 2: Choose the particular media files to import. Then, click "Open" button to start the transfer process. Step 3: Check whether they are imported to your iPod device successfully or not from the destination file of computer.